California began sales of recreational marijuana on January 1st, 2018 and is expected to possibly be the epicenter of cannabis throughout the world. Almost the entire state has been advocating the legal use of cannabis for more than two decades, but there are pockets in California, like Escondido, that are not interested in having any part of it. “How’s it feel to be police chief with the toughest pot laws in California? 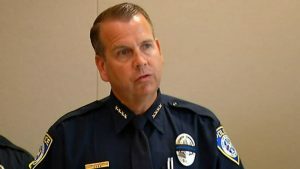 That’s not a bad title, it sounds good, I’m good with that title,” said Escondido Police Chief Craig Carter. Despite the mayor and the police chief’s best efforts to rid Escondido of anything associated with marijuana, there are state laws that they cannot prohibit. Adult residents of Escondido will still be able to grow six marijuana plants and possess up to an ounce of marijuana flower without any legal reprecussions. 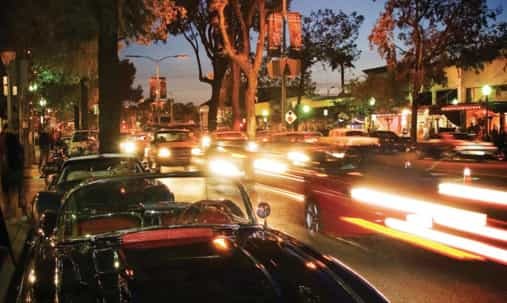 Another controversial move by the Escondido City Council is that they will be enforcing the social host ordinance. A “Social Host” is an adult person who knowingly allows underage drinking parties, or in this instance an underage marijuana party, on their property. Social host ordinance assigns responsibility to those who knew or should have known a drinking party was occurring on their property. A violation of the ordinance can involve a fine of $10,000 and jail time. “It tends to get their attention, when they see the fine, they think twice about having that party,” Chief Carter said. Escondido is right in the middle of what might become the largest tourist destination for marijuana consumption in the world. San Diego was one of the first cities in California to start selling and promoting marijuana sales at the beginning of 2018 and Los Angeles has been thought of as the main hub for cannabis sales in the state for a long time. Why is marijuana stigmatized? There is an ingrained belief that marijuana is a gateway drug to more addictive substances such as heroin and methamphetamine. The opioid epidemic may be the largest challenge that the United States is currently facing. Many people, such as the city officials of Escondido and Attorney General Jeff Sessions, believe that marijuana consumption creates a culture that leads to criminal activity and addiction. They hold a strong belief that the best way to rid the country of this culture is to prohibit the use of marijuana and apply harsh penalties to discourage its use. The other side of the argument suggests that enforcing harsh penalties on drug consumption, or what is commonly referred to as the “war on drugs”, has failed and that drug use has not stopped but in fact increased since prohibition began. This side of the argument believes that legalizing marijuana will keep more people out of jail and not force them to carry around a criminal record that can prevent them from getting jobs and admittance into school. There is also the belief that there are social injustices associated with the criminal enforcement of marijuana laws. Many more minorities and low-income individuals are arrested for marijuana infractions than white people. There is currently a bill sponsored by Sen. Cory Booker of New Jersey called The Marijuana Justice Act being passed around congress that specifically calls for the end of the federal prohibition of marijuana due to the racial disparities in arrests over low-level marijuana infractions.